What’s the Future for Online Learning? So what do you think of massively open online courses (MOOCs)? Well, they’re not “massively open” like they were at the start (back in 2008), since now they’re tied to venture capital, the profit motive, tuition fees, and corporate/university branding. There were those who thought they were the future of higher ed, and not just for distance ed students either, but there are now those who are not so confident. 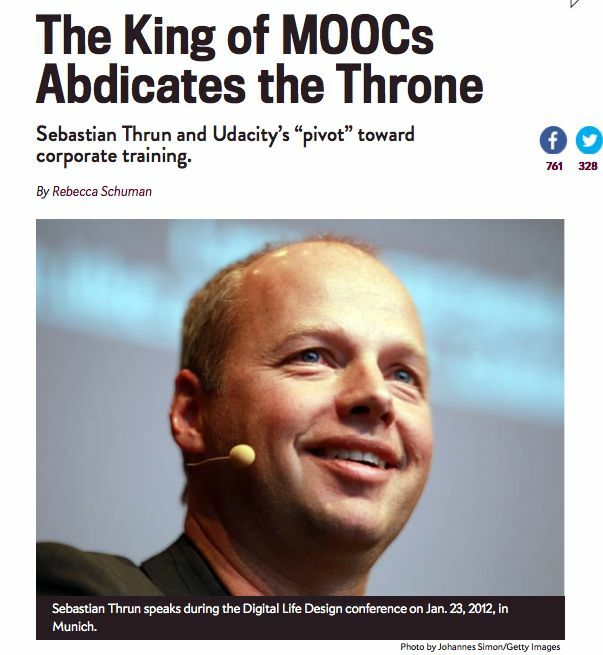 So what do you think of MOOCs? This entry was posted in Faculty Blog, Relevance of Humanities and tagged Distance Education, Massively Open Online Courses, MOOC, Online Education by Russell McCutcheon. Bookmark the permalink. I had a vigorous debate about this last year at SUNY’s conference on Collaborative Online International Learning. I argued that collaboration that involves learning requires real-time interaction. MOOCs are structured to exclude this. I think MOOCs take a fraction of the best potential of digital media – interactivity – and pair it with with the more conventional aspects of learning management systems: asynchrony. Touted as “anywhere, any time,” the asynchronous element also removes what I think is the best part of digital media today: synchronous interactivity. Most MOOCs remove the synchronicity of the bricks-and-mortar classroom and without putting something analogous in its place. I’m all for online collaboration, but an individual in a MOOC asynchronously interacts with others. The lessons learned through real-time cooperation cannot be replicated outside of actual time spent living and working together.